Undergraduate applications are accepted all year round. However the academic year begins in September. All applicants who will be writing WASSCE in May/June 2019 are eligible to apply. There is direct admission of applicants into all programmes offered by the College of Health Sciences but as first choice only. For second and third choices, applicants are strongly advised to choose courses from the College of Basic and Applied Sciences. There is direct admission of applicants into the various Programmes available in the School of Physical and Mathematical Sciences and the School of Biological Sciences. Applicants will be expected to select up to four (4) choices in order of preference. Holders of other qualifications including International Baccalaureate (IB), IGCSE, and the American Grade 12 examinations which hitherto were admitted to Level 200, will be admitted to Level 100. 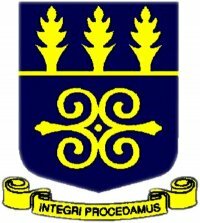 All Applicants must take note that the process for admission to the University of Ghana is very transparent. Applicants should therefore beware of any persons who may approach them on the pretext of assisting them gain admission for a fee.All applicants are expected to pay to the university a non-refundable application processing fee of US$110.00. This fee can be paid online as part of the application process or wire transferred into the University of Ghana ECOBANK Account. ALL APPLICANTS MUST ENSURE THAT THEIR ON-LINE APPLICATIONS ARE CORRECTLY FILLED AND SUBMITTED.